If you ever wondered what happens when an enclosure fills with water here are some examples. One recommendation I will make to all installers is to think about what happens to water if it enters your conduit or enclosure. The worst thing you can do is to trap the water and not let it out. If possible and if your enclosure is elevated drill a simple drain hole. This photos is of a Polaris style connector that was inside of an enclosure where the conduit wasn’t properly sealed on a residential roof top. 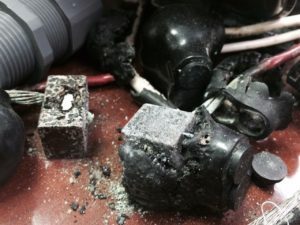 The water shorted and corroded the connections and it lead to a complete system failure. 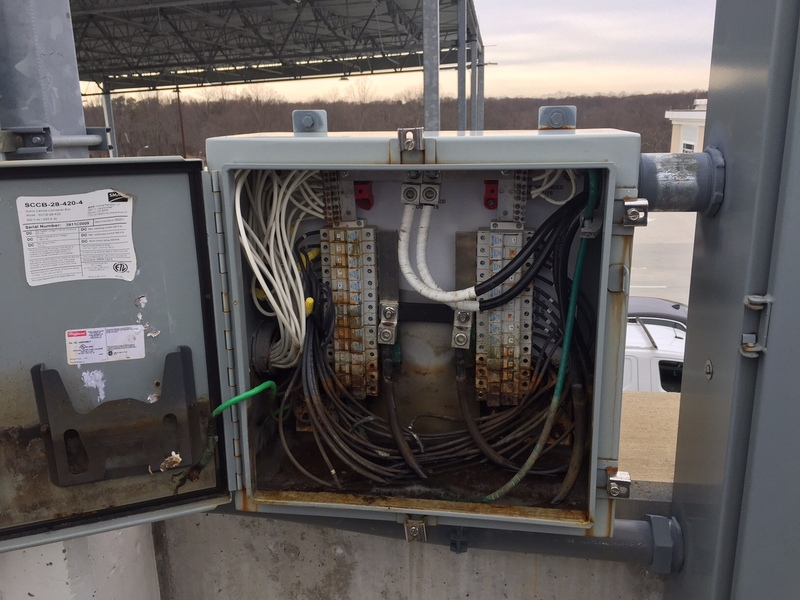 This is a commercial fused combiner on top of a parking garage that filled with water because the installer didn’t properly seal the conduit that lead to the overhead solar array. In a case like this a drain hole should have been provided in the bottom of this enclosure. When the site owner opened the box 6″ of water ran out and thankfully no one was shocked.